If you’ve been watching ABC’s Marvel’s Agent Carter, you have no doubt seen this character in the last few episodes. Dottie Underwood appeared in the show as just another girl from the Midwest coming to the big city. At first it seemed that her character would be nothing more than a fellow tenant at The Griffith, a women-only apartment complex that does not allow men above the first floor. It became pretty clear, however, that Dottie Underwood was not who she seemed. That’s right! That sweet persona is nothing but a cover! Dottie Underwood is a Russian sleeper agent. Ever since the Red Scare of the Cold War, the idea of a Russian sleeper agent has been the go-to trope for bad guys. As Maki points out in his article, “Jason Bou(Rn)e He Aint,” the sleeper agent makes such a good archetype for a villain, because it capitalizes on our fears of betrayal. In a society where people deal with so many strangers throughout the day, the idea that those people we hold closest to us could be deceiving us frightens us to the core. That’s what makes for such great plot twists and drama. You never expect that the sweet and boring people around you could also be highly-trained secret agent assassins. Dottie Underwood is definitely not the first, nor will she be the last, sleeper agent for Marvel. Black Widow also has a past as a deep cover Russian agent. Depending on which origin story you read, though, her character goes back and forth between being a sleeper agent, double agent, and so forth. In the recent version of Black Widow on The Avengers and connecting movies, where Black Widow is played by the vivacious and talented Scarlet Johansson, the character acts like a mercenary, but she does seem to have loyalty to Fury, Hawkeye, and Captain America. Outside of the world of comics, other movies and television shows have taken advantage of the sleeper agent trope. 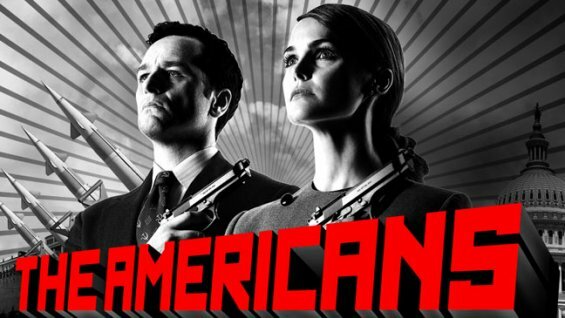 In the FX show The Americans, which is set in the 1980s, two Russian spies live under false identities within the suburbs of Washington D.C. in order to infiltrate the American government. 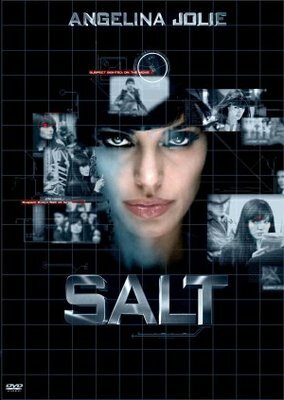 In 2010, Philip Noyce directed the film Salt, which included the actress Angelina Jolie portraying a Russian sleeper agent. Some people wonder that if the sleeper agent trope is used in fiction, do sleeper agents actually exist? Yes – but the reality of sleeper agents is nowhere near as interesting as the fictitious stories. So what exactly did these scary Russian spies do? Did they find major secrets? Assassinate heads of state? Like I said, nothing that interesting. Most of them came to the states and lived here for 10 years before they were caught. A major part of being a sleeper agent is maintaining one’s cover, which means living a regular life so no one suspects you of doing anything else. As they developed their regular lives, part of their mission, as far as the FBI could figure out, was to network with Americans who had power or influence over policy-making individuals or entities. In other words, these deep cover agents were setting themselves up to be connected to people who could make things happen. Whether they could have manipulated these people, or if they did, is not entirely clear. Two of these spies within this network did allegedly try to recruit their son, but not in the way that Carter’s Dottie Underwood was recruited. No – the Russian spies did not send their son off to some creepy camp for kids to be brainwashed and trained to kill their bunk-mates. Instead of that extreme measure, the parents relied on good old-fashioned propaganda. These parents pushed the idea of patriotism to mother Russia onto their impressionable son, and he believed the propaganda wholeheartedly, and supposedly agreed to become a sleeper agent. Propaganda and patriotism tend to work very well for recruiting young people. After all, these youngsters are in the midst of trying to prove themselves and develop their identities. It’s one of the reasons that military forces in most developed countries tend to recruit high school students. The people caught in the Russian network of spies were one type of sleeper agent. They can also be identified as deep cover agents. In the world of espionage, Dr. John Prados, an intelligence historian and a senior fellow at the National Security Archive in D.C., reveals that deep cover agents who are in fact sleeper agents stay inactive for years as they develop and maintain their cover identities. They might be passively putting themselves into better positions as they develop their cover IDs, but the main goal of a deep cover agent is to infiltrate, and you can only do so if no one suspects you of being a spy. In an interview conducted by Gwynne Watkins about the FX show The Americans, Watkins asks Dr. Prados to explain whether he would categorize the show’s main characters as deep cover sleeper agents. Dr. Prados argues that the main characters were at one point sleeper agents establishing their cover IDs, but in the show they have been activated, since they are engaging in active intelligence gathering. The other common type of sleeper agent, and a major trope as well, is the concept of the brainwashed victim being turned into a secret agent. In The Manchurian Candidate, for example, the main character is brainwashed into following instructions upon being given some sort of code word that puts the main character in an altered state of mind. Although the methods used to brainwash the main character were hyped up for the speed of the plot and for the sake of fiction, the idea of conditioning a person into becoming a spy may not be so unheard-of after all. 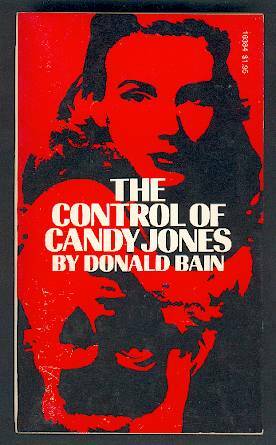 Annalee Newitz reported in her article, “The story of the real-life Salt, a supermodel brainwashed into becoming a CIA spy,” about how during the 1940s the CIA used hypnotism and experimental medication on Candy Jones, a supermodel and writer, to force her into developing a split personality. When given the right activation code, (i.e., hypnotic suggestion), Jones’s conditioned alternate personality, Arlene, would take over and do whatever tasks needed to be done. Newitz points out that all the information in her article, including some of the depictions of the depraved extremes that Arlene’s handler pushed her into doing, have yet to be confirmed by any government agency, and that all of these claims are based on the reports by Jones herself. According to this article, which gives far more details about Jones’s life and her involvement with the CIA, most of the information recovered about her past and her forced split personality was discovered through regressive hypnosis treatments performed on her by her husband. Deep cover agents spend so much time trying “to remain anonymous,” per Dr. Prados, that unless they are activated, these sleeper agents are simply not out there beating people up or killing anyone, because it would risk their cover. Then why do we see sleeper agents like Dottie Underwood ninja-bouncing off the walls and breaking people’s necks? Because it looks awesome! Sure, you could argue that if her cover ID was designed to get her close to Carter, then taking out anyone who would kill Carter would be a reasonable risk. That string of logic aside, though, you have to remember that at the end of the day, Dottie Underwood is a work of fiction. Her story is meant to excite viewers and to create further tension between the main characters. The bulk of her undercover life, like her going to Brooklyn or her waiting around at The Griffith, is never really showed much onscreen, because the life of an undercover sleeper agent is, for the most part, as humdrum as any other persons’ life.